St. Philip’s offers four services on Ash Wednesday, February 10. At 7:30 a.m., Holy Eucharist Rite I and Imposition of Ashes; at noon, Holy Eucharist Rite II and Imposition of Ashes; at 5:30 p.m., All-Generations Eucharist and Imposition of Ashes, and at 7 p.m., Sung Eucharist Rite II and Imposition of Ashes. In addition, the “Ash Mob” from St. Philip’s will be administering “Ashes To Go” at various locations around town: Raging Sage Coffee House on Campbell (8–10 a.m.), Northwest YMCA (9–11 a.m.), Starbucks at Campbell & River (10–11:30 a.m.), the River Walk at Campbell & River on the south side of the river (10–11:30 a.m.). Ash Wednesday is preceded by the annual Shrove Tuesday Pancake Supper on Tuesday, February 9, at 6 p.m. in the Murphey Gallery. The tradition of eating pancakes on Shrove Tuesday comes from the need to use up such ingredients as sugar, fat, and eggs, whose consumption was traditionally restricted during the ritual fasting associated with Lent (“Mardi Gras” is French for “fat Tuesday”). Proceeds from this fun night of fellowship and yummy food ($7 person/$20 family) prepared by the J2A youth and parents go toward the J2A pilgrimage. At 7 p.m. we will transition from Epiphany to Lent with the Burning of the Palms in the Fishpond Garden. On Wednesdays during Lent, the J2A youth and their parents host Lenten Soup Suppers at 6 p.m. in the Murphey Gallery. Hearty, homemade soups (including a vegetarian option each week), bread, salad and dessert ($7 person/$20 family). Why cook when you can support the J2A pilgrimage, share a Lenten tradition, and enjoy fellowship over a delicious bowl of homemade soup at the same time? At 6:45 p.m., the Rev. Canon Ted Holt leads an evening class. He invites you to explore sin, evil, and guilt as realities that have affected us all ever since the mythical days of Adam and Eve and that Slippery Serpent. Weaving Biblical, theological, and psychological ways of viewing the themes of sin, evil, and guilt, he will do so in a way that will likely be quite new to you, and along the way expand your understanding of how each functions (as well as malfunctions) in your life and the lives of those around you. The class will end with Close of Day Worship at 7:30 p.m.
On Thursdays during Lent, Friends of Music presents noontime recitals beginning at 12:15 p.m. 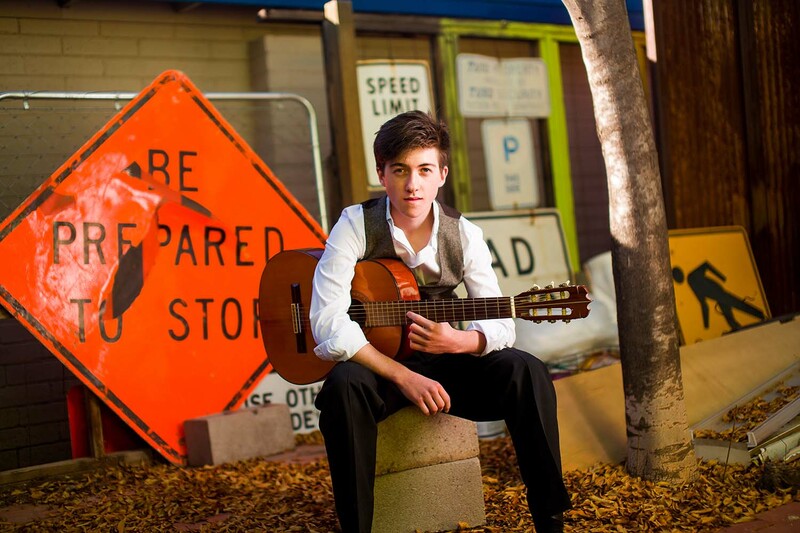 Entitled “Rising Stars in the Next Musical Generation,” the series showcases young high achievers in the Tucson area who will dazzle with their professional polish, maturity and technical prowess. Listen to the newest generation of musicians as they ascend to the professional stage — an entertaining and relaxing way to spend your lunch hour. All concerts are held in the Bloom Music Center. Suggested admission is $10. The series begins on Thursday, February 11, with trumpeter Miranda Agnew performing contemporary classical works. Click here to read more about the series. On Saturday, February 27, St. Philip’s offers a special Lenten Retreat Day: entitled “Discover Your Purpose” with the Rev. Dr. Rob Voyle. Click here to read more about this offering and to register. 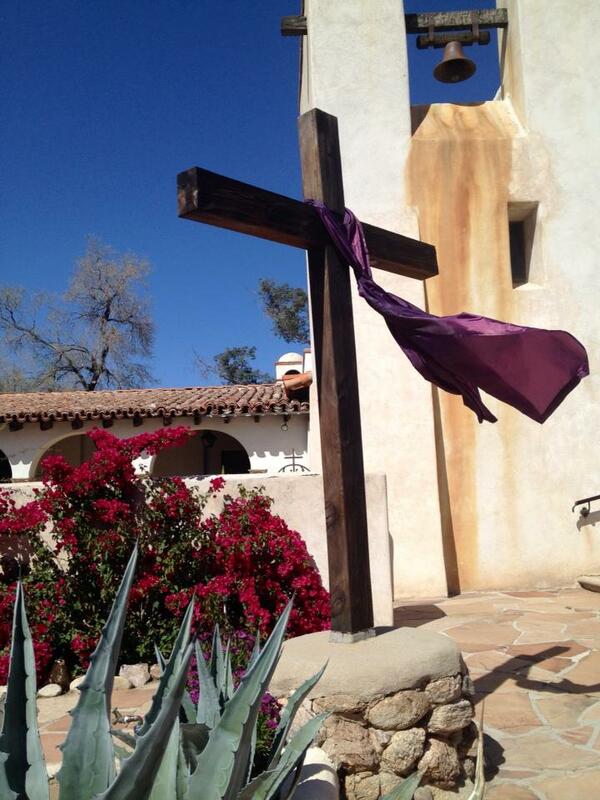 Click here for a schedule of Lenten services, classes, recitals, and other events. Listen to the Rev. Dr. Rob Voyle talk about his program. St. Philip’s is sponsoring a special Lenten retreat day entitled “Discover Your Purpose,” led by the Rev. Dr. 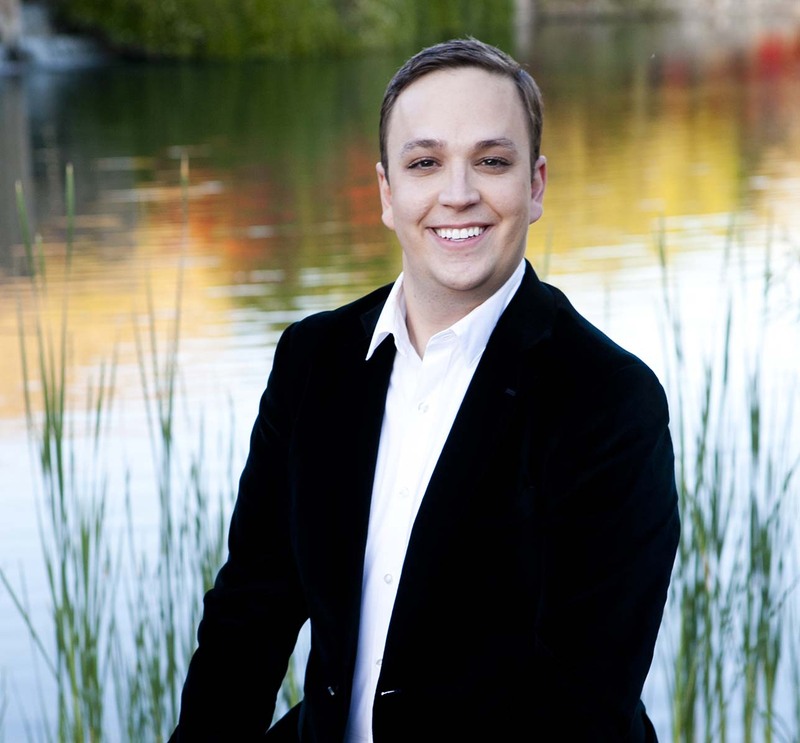 Rob Voyle, on Saturday, February 27, from 9:30 a.m. to 4 p.m. Here is your opportunity to have your own personal “Day of Discovery,” to look at your own future using the same Appreciative Inquiry process we used at the Parish Day of Discovery last fall. Learn how what you love to do is your spiritual fingerprint; do an Appreciative Inquiry into your own life and discover yourself at your best; discern, from you at your best doing what you love, your core God-given purpose for being. The Rev. Dr. Rob Voyle is a leader in the development and use of appreciative coaching. Rob will enhance your ability to delight in yourself, your neighbor, and God through his insightful, practical, loving, professionally grounded, appreciative, and often mischievous coaching and teaching skills. No charge; lunch included. To register click here, or call 299-6421 and give your information to the receptionist. To learn more about the Rev. Dr. Rob Voyle, click here. Note: this is a separate event from the in-service training for Southern Arizona clergy and other professionals entitled “Teach Them How to Forgive.” For information about that event and to register, click here. St. Philip’s offers a full slate of Lenten activities: services, classes, suppers, and recitals, plus other special events. Click here to view the schedule. On Wednesdays, there is a Rite II Eucharist service at 12:15 p.m. in the Church. Afterwards, at 1 p.m., the Rev. Vicki K. Hesse presents “Spiritual Awakening: the Dynamics of Experiential Faith.” Explore the changing cultural landscape today, discerning what it means to be spiritual, to be religious, and how as Christians today, we might be grace-filled witnesses to the reality we know and experience in God. Each session will include a DVD presentation from theologian Diane Butler Bass to fuel discussion and reflection. Segments include Arriving, Believing, Behaving, Belonging, and Awakening. At 6 p.m., St. Philip’s J2A youth host a soup and salad supper ($7 person/$20 family). Gather in the Gallery for fellowship and help support the youth group’s pilgrimage. After supper, at 6:45, we will adjourn to the Church for a Compline service before the evening’s classes begin. At 7 p.m., there are three class offerings. In the West Gallery, our Rector, the Rev. Canon John Kitagawa, leads “Episcopal 101,” a journey of discovery about the Episcopal Church. Learn about the basics of the Episcopal Church tradition: history, theology and spirituality, liturgy (worship), music, and decision-making. There will be many opportunities to ask questions and enter into dialogue. In the La Paz room, the Rev. Greg Foraker and Rabbi Helen Cohn of Congregation M’kor Hayim present “Interfaith Cooperation: Coming Together to Change the World,” exploring what it means to be a faithful person in an interfaith world. Group discussion and reflection will be fueled by DVD presentations with interfaith commentator Eboo Patel investigating what it means to be “literate” about other faiths, how interfaith cooperation “works” and why, the skills needed for interfaith cooperation, and the significant role that our faith communities play in this process. And in La Parroquia, the 20s/30s/40s/50s group explores Lenten traditional practices in preparation for Easter. This series is designed for younger adults who may be working on establishing new family traditions or may feel unfulfilled with their current Lenten rituals. Topics include the tradition of fasting for spiritual enrichment and the biblical origins of this practice; the call to volunteer service (including an in-house volunteer project); different forms of prayer and why they can lead us into different spiritual journeys; why we are called to worship as a community and how it enriches our spiritual paths; and Stations of the Cross, visiting each station and exploring through small group discussion the importance of these stations. On Thursdays during Lent, Friends of Music presents noontime recitals beginning at 12:15 p.m. An array of talented local instrumentalists and vocalists will provide forty minutes or so of music — an entertaining and relaxing way to spend your lunch hour. All concerts are held in the Bloom Music Center. Suggested admission is $10. The series begins on Thursday, February 19, with “Settings of the Masters’ Words.” Hailed for his commitment to exploring a vast array of song repertoire and his special passion for American song, tenor Mitchell Sturges with pianist Woan Ching Lim will perform settings of texts by James Joyce and William Shakespeare. On Thursday, February 26, Skyline Flutes presents French Flute Fantasy: music by French composers, and American in Paris. 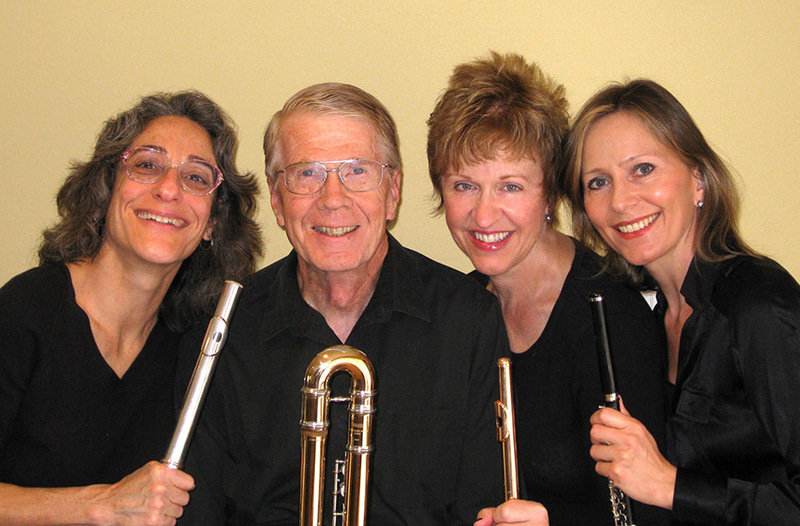 This all-star flute quartet consists of founder Jerry Ervin, Fran Moskovitz, Christine Harper, and Sandy Schwoebel. On Thursday, March 5, guitarist Gus Woodrow presents masterpieces for guitar. Inspired at age 7 by music of the Beatles, Augustus Woodrow began playing the guitar and never stopped to look back. At 19, he has already earned top prizes in regional competitions. Do not let this opportunity pass to hear a major developing talent at the start of a promising career. On Thursday, March 12, Nancy Monsman, cello; Kevin Justus, clarinet; and Elise Jackendoff, piano, perform Beethoven’s Trio in B-flat Major, Op. 11 for Clarinet, Cello and Piano and Schumann’s Fantasy Pieces for Cello and Piano. Was Schumann responding to the voice of Beethoven, creating a complicated musical dialogue between two masters? 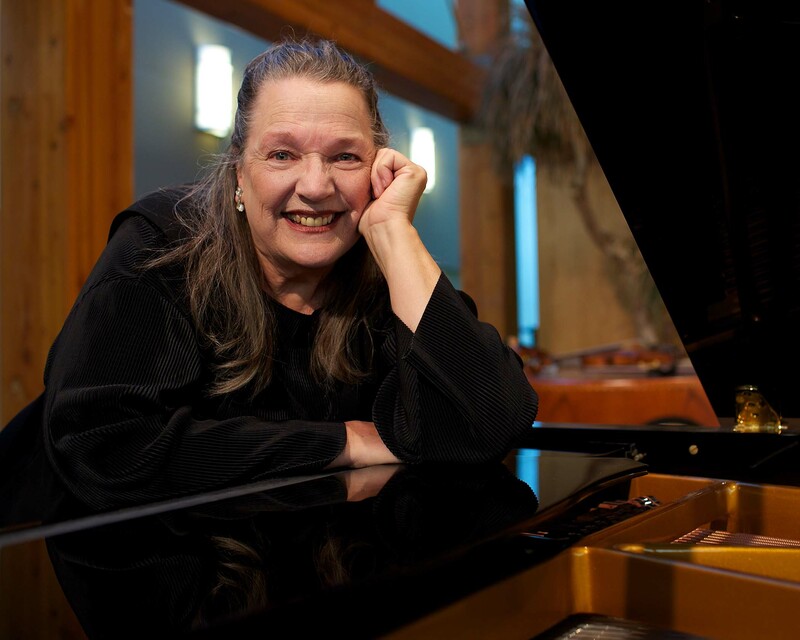 On Thursday, March 19, Sheryll McManus, piano, presents “Gems of Bach/Petri, Beethoven, and Liszt.” A former pianist of the St. Louis Symphony and the Indianapolis Symphony Orchestra, Sheryll brings riveting stage presence and keyboard mastery. 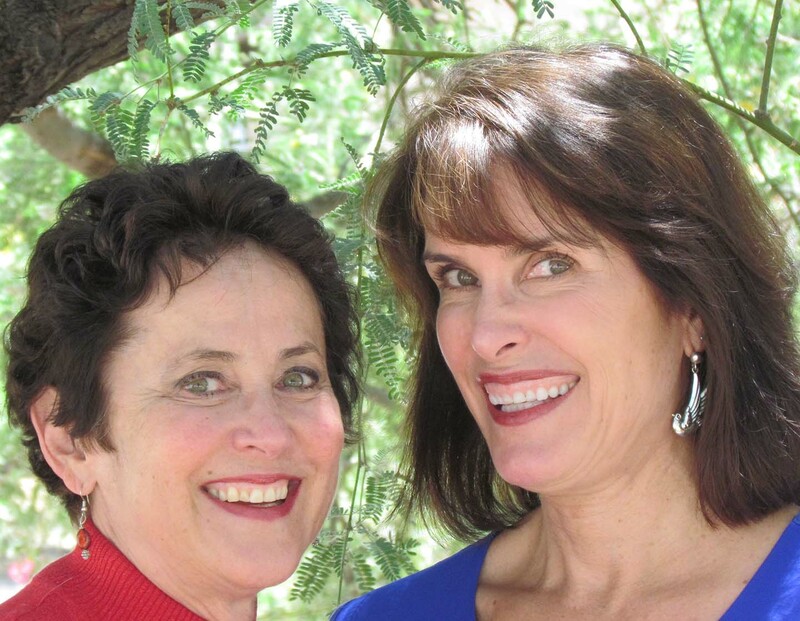 The series concludes on Thursday, March 26, with “De-Lovely Duets!” presented by Tre Amici: Laurel Decker, mezzo-soprano; Elena Todd, soprano; and Marie Sierra, piano. The concert includes duets by Brahms, Massenet, Delibes, Guastavino, Britten, Balfe, and Irving Berlin … sure to be … De-Lovely! A special Interfaith Spring Retreat Weekend, “Exploring the Pilgrimage of Life,” on March 20–22 is hosted jointly by St. Philip’s and Temple Emanu-El, with retreat leader the Rev. 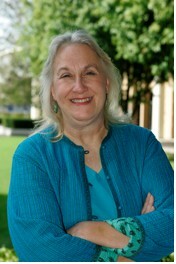 Dr. Sheryl Kujawa-Holbrook. Click here for more information. For a printable schedule of this weekend’s activities, click here. 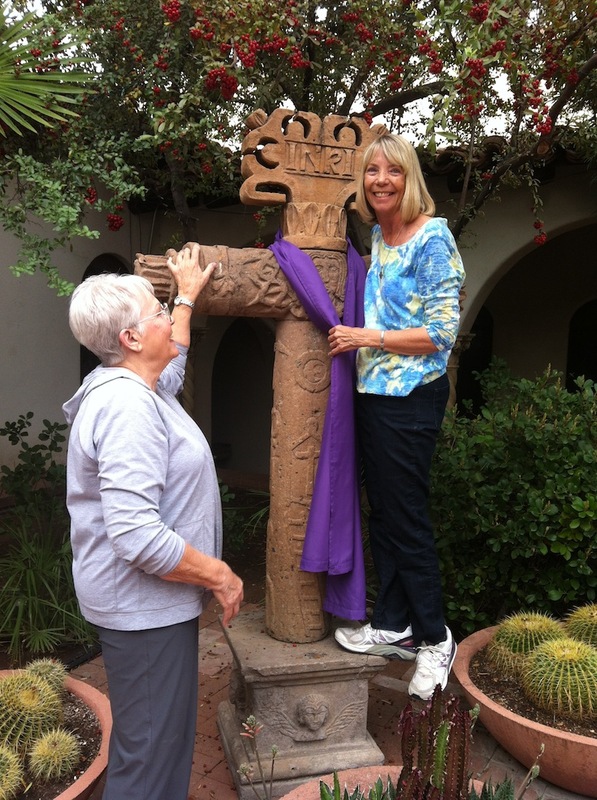 St. Philip’s In The Hills Episcopal Church and Temple Emanu-El join to offer a special Spring Retreat Weekend entitled “Exploring the Pilgrimage of Life” on Friday, March 20, through Sunday, March 22. The Rev. Dr. Sheryl Kujawa-Holbrook will lead this weekend for growth, renewal, and community building. Pilgrimage is both an ancient and modern spiritual practice for Christian and Jews, calling each pilgrim to a deeper awareness of life, God, and community. This life-changing spiritual practice lies deep in the heart of many cultures and nearly every major religion of the world. Explore the pilgrimage of your life through this unique interfaith opportunity. The weekend includes opportunities for shared worship, shared meals, and teachings by the Rev. Dr. Sheryl Kujawa-Holbrook. Friday, March 20, 7:30 p.m.: We will gather for the Shabbat service at Temple Emanu-El, with the Rev. Dr. Sheryl-Kujawa-Holbrook offering reflections on the Torah portion from the bimah to open our weekend together. Saturday, March 21, 8:30 a.m.: The day begins with breakfast at St. Philip’s, followed at 9 by the morning talk, entitled “The Way of the Heart.” We will explore the archetypal senses of pilgrims and pilgrimage. It is through our hearts that we experience divine love and renewal. Saturday, March 21, 12:00 noon: We will continue with a vegetarian potluck lunch at Temple-Emanu-El and the Rabbi’s Tish with the Rev. Dr. Sheryl Kujawa-Holbrook. Bring a dairy or vegetarian dish to share. The afternoon teaching, “The Journey Home,” explores belonging, pilgrimage, and the journey home. Integral to pilgrimage is the journey home and the pilgrims’ need to integrate the life they have lived with new insights gained as they return as changed persons. Sunday, March 22, 7:45, 9, or 11:15 a.m.: At all three morning services at St. Philip’s, the Rev. Dr. Sheryl-Kujawa-Holbrook will offer reflections on where we go from here as pilgrims and community partners. Our retreat leader, the Rev. Dr. Sheryl A. Kujawa-Holbrook, is vice president of academic affairs and dean of the faculty, and professor of practical theology and religious education at Claremont School of Theology, and professor of Anglican Studies at Bloy House, the Episcopal Theological School at Claremont. She is an Episcopal priest of the diocese of Los Angeles and was the national youth officer for the Episcopal Church for ten years. She is widely published, with a special interest in the intersection of spirituality with social justice and interreligious education. Having spent the last 25 years focused on the movement toward anti-racist multiculturalism in faith communities, Kujawa-Holbrook hopes to expand that work to include greater participation in the interreligious movement. Suggested retreat donation of $25.00 helps underwrite this event. Scholarship assistance is available. Childcare will be provided. To register and reserve your place for this transformative weekend, contact the Rev. Greg Foraker at St. Philip’s or Rabbi Batsheva Appel at Temple Emanu-El. St. Philip’s is located at 4440 N. Campbell Avenue at River Road. The office phone number is 299-6421. Temple Emanu-El is located at 225 North Country Club Road. The office phone is 327-4501. Advent is often described as a season of waiting. Advent waiting is not passive, because this is a time of year pregnant with anticipation! St. Philip’s has many special services and other events during Advent! Click here for a schedule in pdf form. The Advent Quiet Day on December 6 are described below. On Saturday, December 6, St. Philip’s will host an Advent Quiet Day entitled “Teresa of Avila: Mentor for the Ages.” The retreat begins at 9 a.m. until 3 p.m., and includes lunch. This spacious and renewing day will include talks, prayer, music and time for reflection and contemplation. Morning Retreat Talk: Teresa’s Life: Guideposts for a Whole and Happy Life. 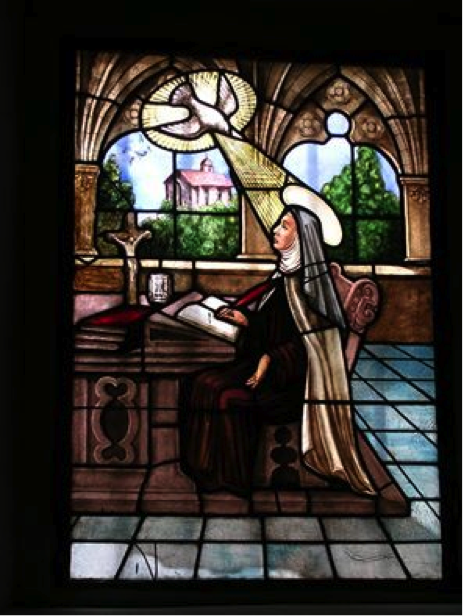 This talk will offer a brief history of Teresa’s life and Ministry, explore the universal Christian appeal of her writings and practices, and consider the many titles by which Teresa has come to be known and revered. Afternoon Retreat Talk: Teresa and Prayer: The Call to Carmel Is a Call to Prayer. This talk will explore the centrality of Teresa’s contemplative prayer practice. This Advent day of prayer and reflection will be led by the Rev. Dr. Ivan Cormac Marsh, O. Carm, a Carmelite priest of the Province of the Most Pure Heart of Mary since 1978 and now residing in Tucson. Over the years, Father Ivan has been involved in parish ministry, Carmelite retreat ministry and as spiritual director. Father Ivan lectures, gives retreats to laity and clergy around the United States, and has taught also in Canada in the area of spiritual direction. $25.00 retreat fee includes materials and lunch. Contact the Rev. Greg Foraker or call 299-6421 to register. If you have not registered by Thursday, December 4, you may register the morning of the retreat. St. Philip’s has many special services and other events during Advent! Click here for a schedule in pdf form. The Advent Festival of Lights Service on December 2 and the Advent Quiet Day on December 6 are described below. 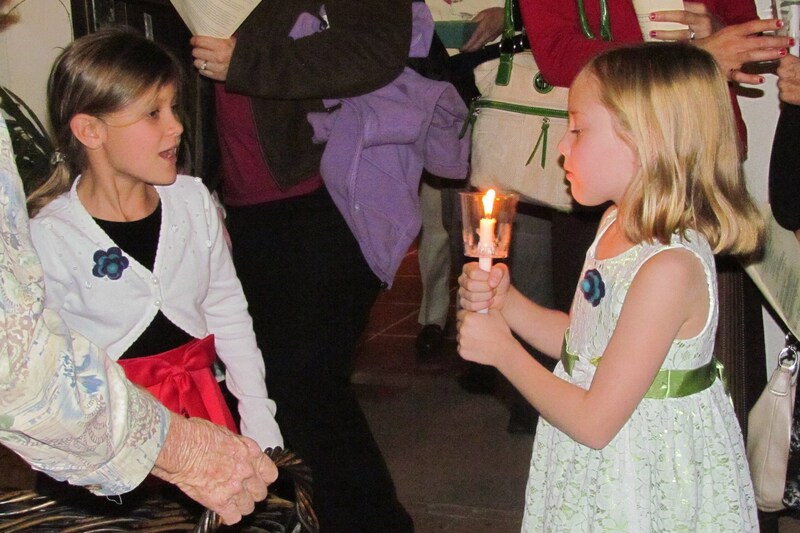 Advent kicks off with the annual Advent Festival of Lights Service, on Tuesday, December 2, at 6:30 p.m. This annual candlelit service seeks to illuminate the feminine face of God, with a theme this year of “Expecting Joy” and a focus on anticipating the joy of God’s works in us. The service will feature readings, prayers, instrumental music, and congregational singing. Prior to the service, beginning at 5:30 p.m., a light-fare potluck dinner will take place in the Murphey Gallery at St. Philip’s. A freewill offering will benefit Emerge! Center Against Domestic Abuse. Emerge! provides domestic abuse crisis intervention and housing, prevention and education, and support and advocacy services to women and children. Emerge! is the largest domestic abuse shelter and provider of domestic abuse prevention programs in Southern Arizona. The service ends with a candlelit procession into the garden. $25.00 retreat fee includes materials and lunch. Contact the Rev. Greg Foraker or call 299-6421 to register.